You are here: Home / When I Am Her / You Are Not Only Beautiful. 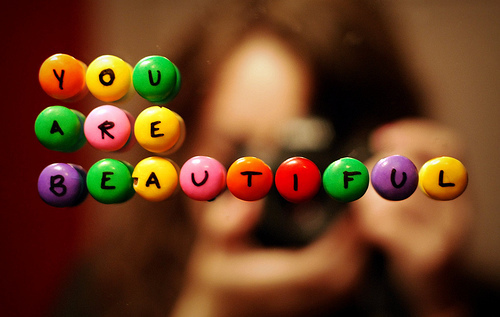 You Are Beautyfull! I just saw this morning where teenage girls are going on YouTube and asking the question, “Am I ugly?” I am a person that feels we all have a uniqueness in life and there are no ugly people that exist upon this planet. Only ugly inner characteristics that have no physical qualities but ugly mental qualities. An enlightenment came into my mind when I saw the section of “Am I ugly” and I said, if only they could read your book. It is time to take your book on the circuit. Any young woman who doesn’t read it is missing out on the real and hidden qualities that she doesn’t realize she possesses until much later in life. We as women are still downtrodden in this male society and don’t even realize the potential we have. In the United States we are somewhat fortunate but still not free. We get second class medical screenings and are looked upon as hypochondriacs. But let a man complain about a hangnail and they’re ready to give him a whole plethora of tests. We have babies and are given two days to recuperate in the hospital. Do you think if a man was having a baby he would only be given two days? Men get paid more for the same job. Men aren’t penalized at work because their children are sick because the woman stays home to take care of the child; therefore giving the man more of an advantage when opportunities for advancement come up in the workplace. Hope, your words have truly blessed and encouraged my life. And to all the young girls asking themselves, Am I ugly? Honey, you are not only beautiful. You are beautyfull! Woohoo!!! I completely agree with Hope!!! This book, the exHERcise, Chivon Morris, HER NATION, they are all amazing and everyone female young and old, accomplished or feeling lost, they all need to experience what it’s like to not only know their full potential, but be able to envision it and begin living it. Let’s get this word spread ladies, let’s show the world what we are made of, but most importantly lets recognize in ourselves our worth, our value, and allow ourselves to be the gift.